DRAGON BOAT FLORENCE FESTIVAL is more than just a sporting event. It’s a great chance to raise awareness of prevention. FIRENZE IN ROSA Onlus is committed to create awareness opportunities. The goal is to reach a wider group of people all over the territory with initiatives and promotional campaigns. FIRENZE IN ROSA is running not only the IBCPC Dragon Boat Festival in Florence where for the very first time all the continents are represented. In fact, more than 4,000 people from18 countries will participate. The project also includes a series of awareness initiatives for schools and for enterprises. The prevention campaign aims to establish medical care and raise awareness of breast cancer inside an enterprise, enabling meetings with professional radiologists equipped with a breast ultrasound machine machine. In this way, women who are not covered by comprehensive healthcare coverage can participate in breast cancer screening programs for free. Our aim is to give concrete help to the many women who take screening tests. How? Providing a machine more efficient to help in early detection of breast cancer to our local area. The funds raised will be used to buy a CoreVision machine for more efficient, precise results with early detection. It’s a social and sports event. The principal aim is to share knowledge of breast self-examination, the treatment of the cancer and Dragon Boat paddling as a rehabilitation therapy. 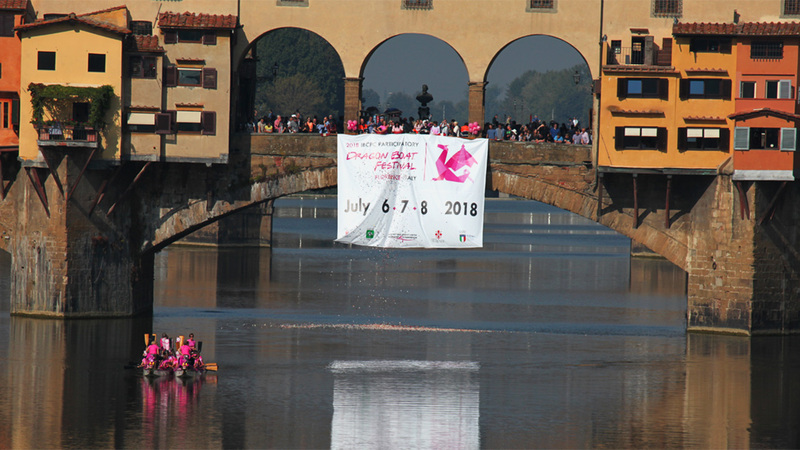 FIRENZE IN ROSA ONLUS is an ONG with the purpose to organize the “2018 IBCPC PARTICIPATORY DRAGON BOAT FLORENCE FESTIVAL”. 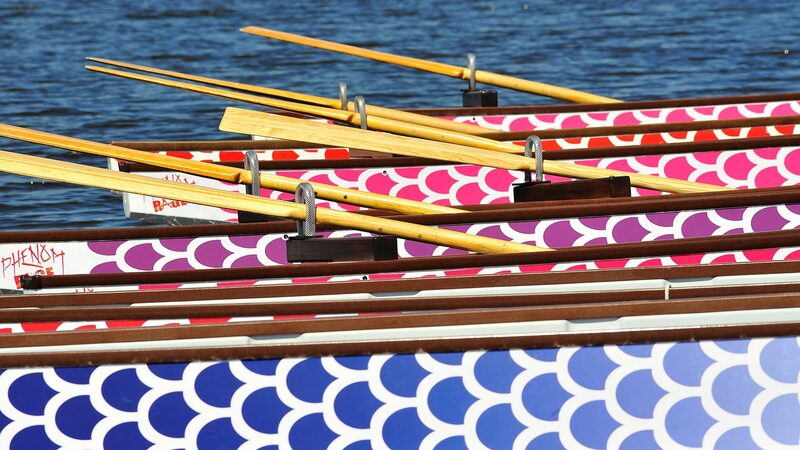 It’s a worldwide sporting event held every four years by the IBCPC -International Breast Cancer Paddler’s Commission -. The Festival is an international non-competitive participatory event targeting Breast Cancer Survivors teams who engage in Dragon Boat activities as post-operative rehabilitation. It’s a moment of great emotional value sharing. Dragon boat racing originated in China more than 2000 years ago. Since the first boat of breast cancer survivors began paddling, breast cancer teams have taken up paddles in countries all over the world. 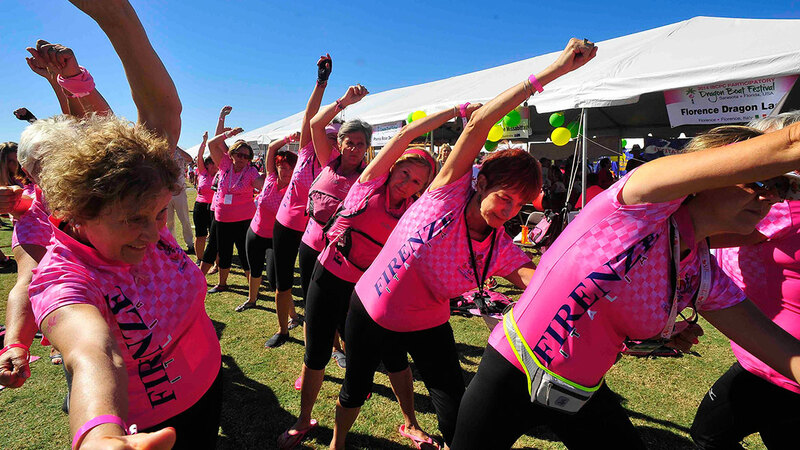 Over the past 20 years, Dragon Boating has proven to be great for Breast Cancer Survivors. Not only for the exercise to help in the recovery, but the social interaction that it includes. “It is a team sport where people learn confronting and sharing experiences, difficulties and achievements. We can do it if everybody paddles in perfect synchronicity, in order to move forward together. It’s a sisterhood of people who understand what you’ve gone through. The boldness and the energy are pivot points of the breast cancer survivors and of the Dragon Boat sport. The women who train with joy, constancy and accomplishment are a great witness of the reason why dragon boating is so important to them because it starts to build their confidence back that they can do something, taking control of their lives and puts them in fantastic physical shape” says Lucia De Ranieri, President of the 2018 IBCPC Dragon Boat Florence Festival. we need your help, donate now!